A strong person who holds his own, he seems cast in the Modi Mould. For a largely lawless state, a strong Chief Minister focused on governance is essential. In his first press conference, he clearly stated he would rule with a strong hand, protecting all citizens, without discrimination and focused on development. The Indian software export industry is about $110 billion. It employs around 4.25 million people. It has a 60 per cent market share of global outsourcing and is globally dominant. India will not accept any terrorists coming across the border from Pakistan destroying army camps and destroying property. And in case anybody comes across and Pakistan does not stop them, India will go across the border in hot pursuit and take them out as has been done. The time has come for a radical change in the way the government functions to justify the increased expense the tax payers pay for their compensation. Dr Raghuram Rajan is going back to academia - from whence he came. He goes back disappointing those who respected him, with affection and hopes that he would open up our financial system and liberate the denizens from unnecessary regulations. Opinion: Call Drop Verdict: So Telecoms Have Right To Provide Bad Service? This is a sad day for 100 crore Indians whose interests have been overlooked by the judgement. Poor Kumar is now left alone, with the great cause of being the Saviour of the Nation behind him and no greater cause to fight for, except living off stale slogans. JNU has been a controversial university for quite some time. Professor Nurul Hasan, as HRD Minister, made sure that it became a bastion of the Left. The voters of Bengaluru have spoken. The BJP has got the majority in the BBMP Council with 100 seats and 40% of votes polled, while the Congress is next with 75 seats and 39% of votes polled. We must wait a little bit more before victory is declared. 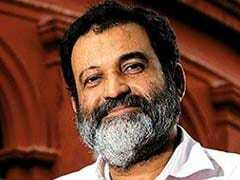 Mohandas Pai writes on the founders exiting the board.